In many ways the growth of mobile, content and services in Sub-Saharan Africa has set the standard for other mobile-only markets around the world. Yet the trajectory of that growth is far from straightforward. Whereas established economies can plot growth against smartphone penetration and the roll-out of faster mobile networks, in Africa it’s very different. There are widely differing network capabilities ranging from 2G up to 4G for example. At the same time, a significant proportion on the African user base is un-banked, making the retail of mobile content and services more complex than linking an app store to a bank account. There are also complexities at the regulatory level – after all, Africa isn’t one singular country with a universal regulatory authority. Rather, reaching consumers with mobile content and services means paying attention to many differing details like content delivery, content types and so on, so that consumers are able to access relevant content according to handset type and pay for it in a way that suits them. One such company that has been built its business on providing mobile entertainment and value-added services, particularly in Sub-Saharan Africa, is MEF member Basebone. Its focus is on paid subscription portals that offer diverse mobile content portfolios Bringing together apps, games, media, m-learning and social connections as well as localised content and services. The Basebone model works. In South Africa alone the company has over 30 million paid subscriptions achieved since market entry 10 years ago. 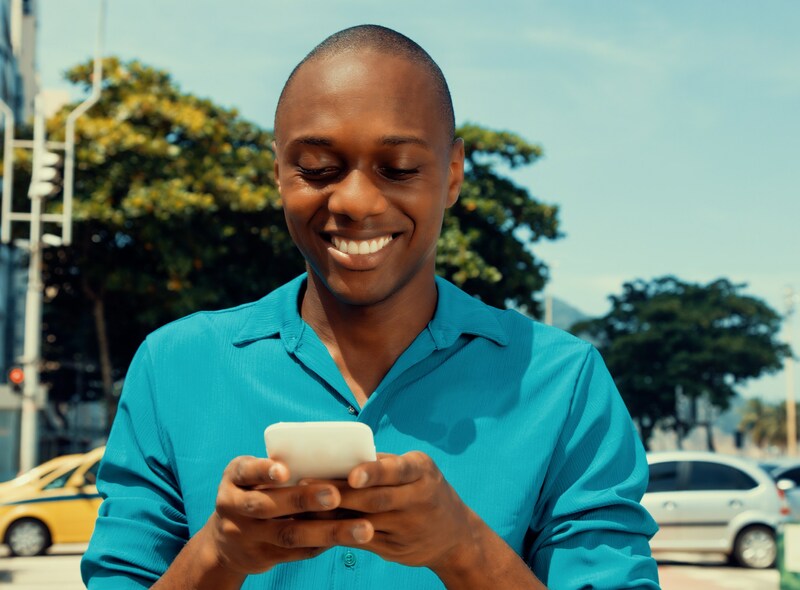 Below, MEF Board Director, James McNab, Chief Liaison Officer, Basebone Group and Managing Director for Basebone Connects, here outlines 10 market stats and facts that explore the growth of the mobile ecosystem in the African continent. Sub-Saharan Africa accounts for nearly a tenth of the global mobile subscriber base and is expected to grow faster than every other region over the next five years. There will be 942 million SIM connections by 2020 (up from 742 million in 2016) representing an 85% penetration rate according to the GSMA. For the time being, feature phones continue to be key driver in Africa being a mobile-first continent. IDC’s latest handset report indicates that feature phones have a 56% of market share and continue to outsell smartphones. Smartphone shipments have slowed (IDC pegs the growth at 3.4% year-on-year). This is likely due to economic headwinds in some of the continent’s leading markets (Nigeria, Africa’s largest market, had its first recession in two decades for example) and shows the price sensitivity of smartphones. Pre-paid mobile connections are the norm in Africa. There are 87.6m mobile connections in South Africa (160% SIM penetration) with 88% of accounts operating as pre-paid and in and Kenya and Nigeria the pre-paid market represents 97% of all mobile connections for example. Analysys Mason forecasts cellular data traffic in Sub-Saharan Africa will be over 9 times higher in 2021 than in 2016. The analyst also suggests that demand for mobile content services is driving smartphone take-up and will push the smartphone share of handsets up to nearly 40 per cent by 2021. Whilst this growth will stimulate OTT players, for mobile operators, greater involvement in digital content will maximise the benefits from data traffic growth, beyond basic data connection revenue. Some mobile operators are moving on the digital content market. In 2016 MTN Group, reported 44% growth in revenue from digital content services, with the number of music subscribers growing to 4 million and gaming subscribers growing to 5.4million. Video on mobile is becoming increasingly popular in the region. According to Deloitte, African consumers are gravitating towards the consumption of large quantities of short-form video, at home and whilst out and about. The GSMA’s Mobile Economy Report confirms the popularity of video going forward. Real-time entertainment (both video and audio) accounted for 18.1% of mobile Internet traffic in Africa in 2015, up from 8.6% the previous year. 25% of South African smartphone users make in-app purchases according to a recent Effective Measure report. Want to be featured on the MEF Minute? 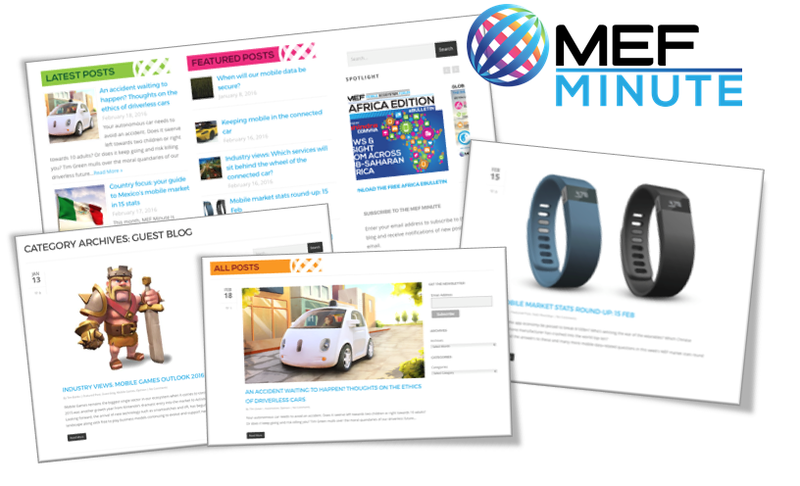 The MEF Minute is an award winning blog that provides a cross-ecosystem and international perspectives on all things mobile. With contributions from MEF’s members and other industry experts it is a dedicated global news resource and thought leadership platform. We welcome contributions from members and non-members across a range of formats including opinion pieces, industry views, stats, videos and infographics. MEF Minute offers a 360 look at any given topic impacting the mobile ecosystem whether that be from a MNO, enterprise, developer or provider perspective. Download the info pack to find out more.